Republican NY States Assemblywoman Nicole Malliotakis, announce she’s running for Congress in 2020. She is a daughter of immigrants, her father born in Greece and her mother in Cuba. In 2017 she run unsuccessfully as the Republican candidate for NYC mayor, but she won the areas covering the 11th Congressional District that covers Staten Island and parts of southern Brooklyn by 67%. She is running against freshman Democratic Congressman Max Rose, who won against incumbent Congressman Dan Donovan in November. 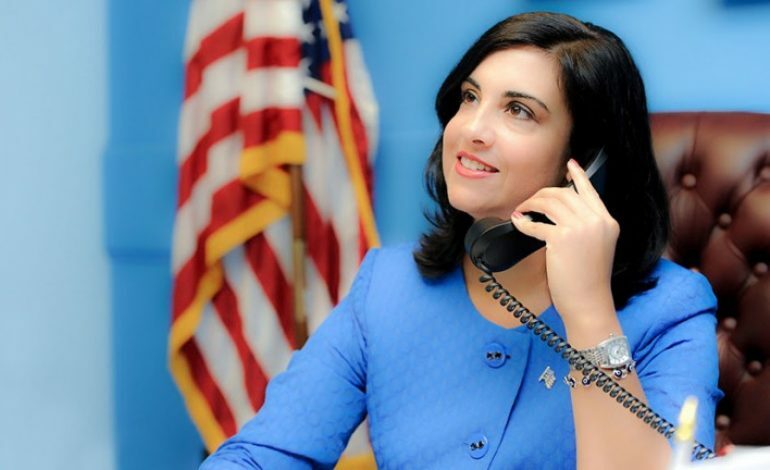 Nicole Malliotakis is a conservative and a strong supporter of President Trump, although in the Republic primary in 2016 she has supported Senator Rubio. She told the New York Post last week that she had a very encouraging conversation with President Trump and [House GOP} Leader [Kevin] McCarthy and on Friday she filed her paperwork so she can begin raising funds. Last night, in his State of the Union Address, President Trump called for unity and compromise to solve problems that all Americans should want to see addressed in a timely manner for the preservation and prosperity of our nation. These issues are not Democrat or Republican issues. They are American issues that include securing our southern border and creating an immigration policy that protects our citizens while welcoming those who want a chance to achieve the American Dream, easing access to prescription drugs so everyone has access to the medicine they need, rebuilding our crumbling infrastructure and supporting policies that will enable our economy to continue its growth. Sadly, Speaker Pelosi and Senator Schumer are more concerned about placating the far left of their party than negotiating in good faith to achieve the best deal for the American people. Newly elected members like Alexandria Ocasio-Cortez have already called for a 70% tax rate, one presidential hopeful has suggested that membership in the Knights of Columbus should disqualify a nominee from serving as a federal judge because their positions are “extreme”, while multiple members and candidates for president have called for Immigration and Customs Enforcement (ICE) to be abolished. We should all be worried about the direction our nation is taking! That’s why I’ve filed paperwork to run for Congress in 2020, a district I won with 67% of the vote in the 2017 Mayoral race. If you too are concerned about where Nancy Pelosi, Alexandria Ocasio-Cortez and the rest of the progressives will take our nation, then make a contribution to my upcoming campaign.